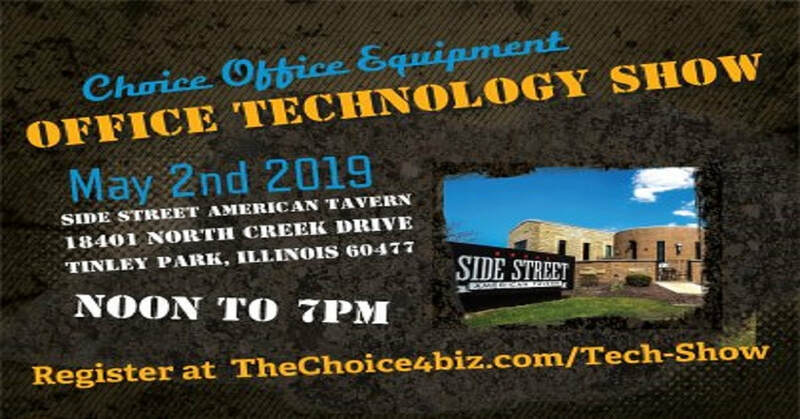 ​The 'Choice' OFFICE TECHNOLOGY SHOW is a 1-day technology open house taking place Thursday, May 2nd at one of the areas favorite meet-up spots, Side Street American Tavern in Tinley Park. 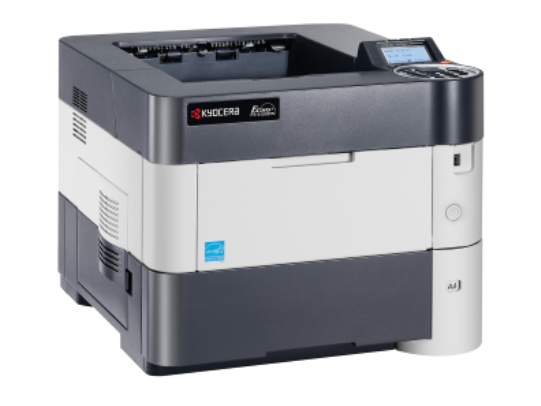 ​We will showcase the next generation of technology & innovation; including; Document Scanning, Mobile Print, Document Security, the Newest Multi-functional Copiers, Printers, Mail Room Technology and more. Be prepared to be inspired, amazed and educated on how these evolving technologies will impact your business for the better. A session that can help you master scanning, browsing, editing and processing documents. 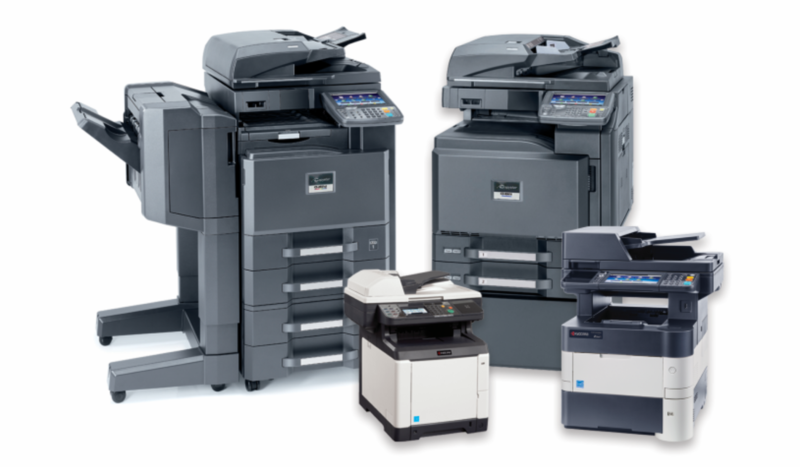 You will learn ways to keep your documents and equipment secure from data theft and more. Despite the shift to digital communication, businesses still have the need to process tangible mail to channel customer attention. We can provide simplicity and efficiency in otherwise complicated mailroom processes. Pro-Tip: Arrive early to be included in all three raffles! ​Just ask to see the weather, get the news, see your calendar, browse, and listen to Audible audiobooks, and more. Plus, make calls to friends and family or make video calls to anyone with an Echo Spot. For Tinley Park Chamber of Commerce members; visit our three product stations, have your entry card stamped at each station. You'll be entered in the drawing for a $100 gas card.